Chudy and Grase is a brand-new award-winning collaboration between designers Nils Chudy from Germany and Jasmina Grase from Lativa. Their innovative designs are already causing the design world to sit up and take notice. Curiouser and curiouser. That’s what the products from design studio Chudy and Grase are becoming. Like falling down the proverbial rabbit-hole, the studio’s innovative and somewhat futuristic products make you gape in wonder. Chudy and Grase is an international studio based in Copenhagen, Denmark. Established in 2014, this brand-new collaboration between designers Nils Chudy from Germany and Jasmina Grase from Latvia is already causing a stir in the world of design. Chudy and Grase were both students at the Design Academy Eindhoven (Netherlands) and their work has already won several prestigious awards. The studio is still quite new but the few products in their portfolio make them serious players in the design world. Their graduation project ‘Miito’ is one such example. The Miito has two parts – an induction base and a metal rod. You fill your cup (any non-ferrous material will do), place it on the induction base and immerse the rod in the liquid. 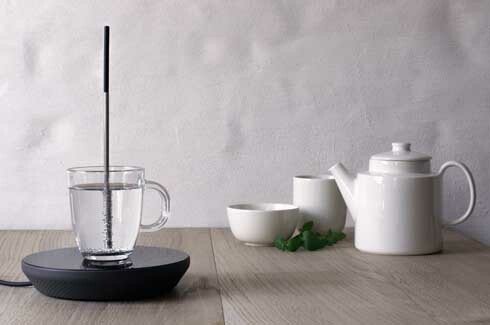 “The induction base heats the rod, which then heats the liquid surrounding it.” Use it for a pot of tea or a cup of soup. No wastage of water or energy. The Miito is patent-pending, and still in advanced stages of development. The idea, however, is one whose time has come. 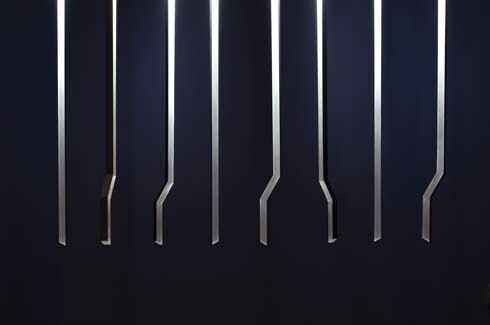 The Miito won the Product Design 2014 (Latvia) and was shortlisted for the James Dyson Award. It is something to look forward to on the shelves. 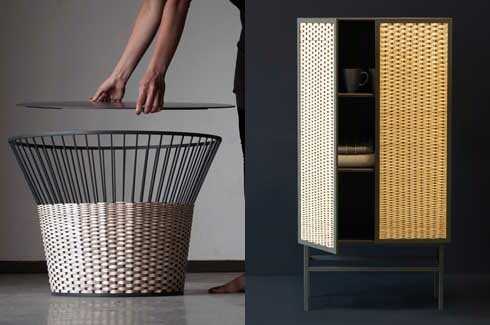 Chudy and Grase’s collection of wicker seating and storage isn’t what your grandmother has, for sure. The sleek lines of the metal weave perfectly around the strands of young wicker, the shape of the metal determining the design patterns. ‘Viewpoint’ is a mirror with a light panel – you can slide the panel to reveal or conceal the mirror. Depending on what your mood is, choose to see yourself or not. ‘Viewpoint’ plays with perception, with the way we ‘see’ ourselves, and not just literally. While the initial idea sprung from research into depression, a mirror with choices might just be the thing one needs on rushed Monday mornings! 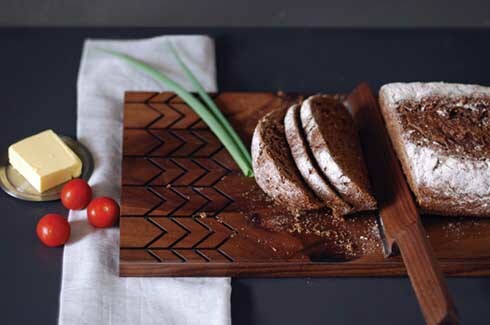 One of Chudy and Grase’s earliest designs was ‘Broom of Luck’, a set of walnut cutting board and knife with the traditional Baltic ‘Broom of Luck’ signature engraved into the board. 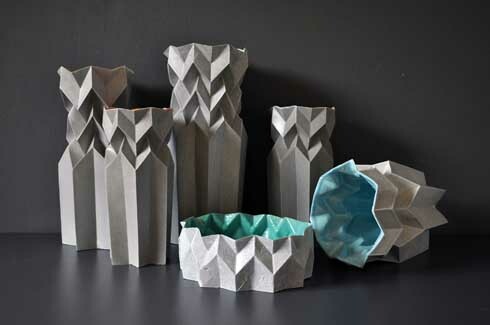 ‘Folded’ is a series of fragile-looking vases using the rotational moulding technique – origami art with new materials. Traditional design, but with a twist. 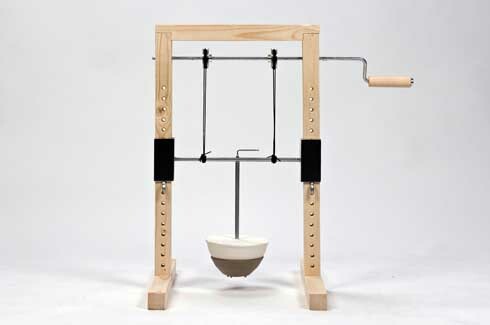 The 2014 Time to Design award allowed the designers to move to Copenhagen for a residency with the Danish Art Workshops (DAW). Chudy and Grase are using their time at the DAW to further develop the Viewpoint mirrors and are also working on a new range of lamps. Their aim to “design everyday objects with little objects of discovery” is already evident in their nascent portfolio. This is one design duo to watch out for.